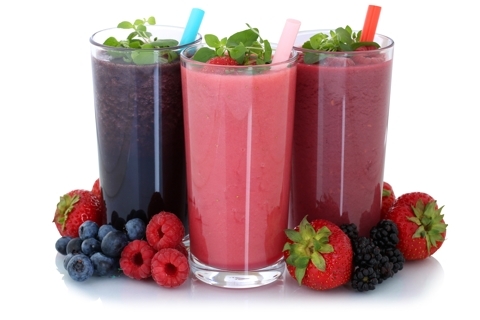 These delicious smoothie recipes will give you the kick start you need to get you through your day. 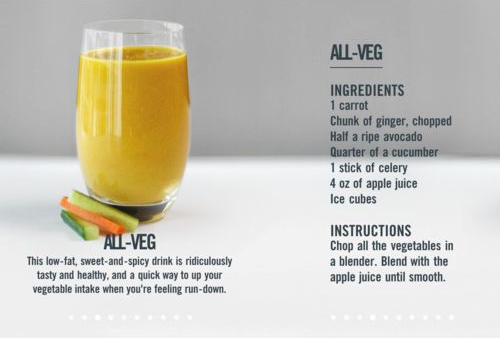 This low-fat, sweet-and-spicy drink is ridiculously tasty and healthy, and a quick way to up your vegetable intake when you’re feeling run-down. 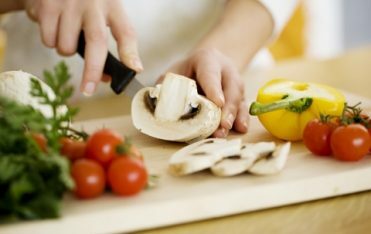 Chop all the vegetables in a blender. Blend with the apple juice until smooth. Get a kick-start when you need it most. 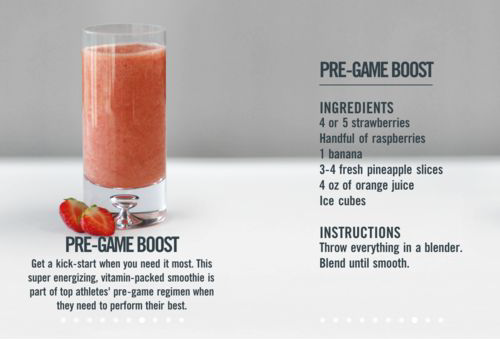 This super energizing, vitamin-packed smoothie is part of top athletes’ pre-game regimen when they need to perform their best. Throw everything in a blender. Blend until smooth. 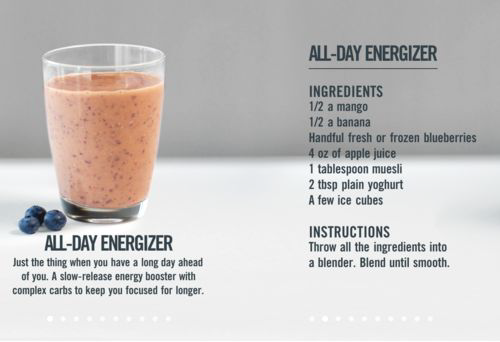 This smoothie is loaded with seeds and nuts for an extra protein fix to keep your body strong and help it to recover after long runs or an intense training day. Deseed the cherriies. Throw everything in a blender. 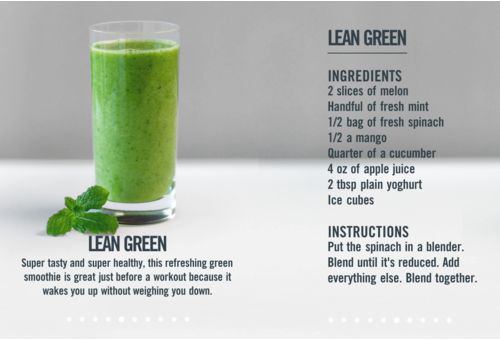 Super tasty and super healthy, this refreshing green smoothie is great just before a workout because it wakes you up without weighing you down. Put the spinach in a blender. Blend until it’s reduced. Add everything else. Blend together. Just the thing when you have a long day ahead of you. 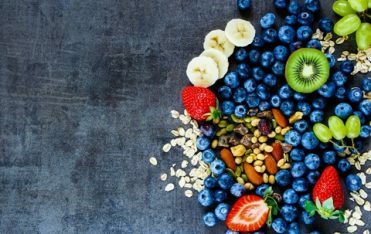 A slow-release energy booster with complex carbs to keep you focused for longer. 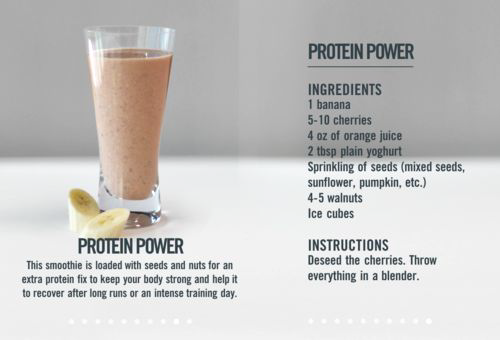 Throw all the ingredients into a blender. Blend until smooth.